When we moved into our house the summer after the turn of the millennium, there was a pretty little patch of bamboo that had traveled from my neighbor’s yard to mine. I thought it was adorable, but Judy cautioned me not to encourage it. I didn’t listen and since then, I’ve been waging war on the damned stuff. 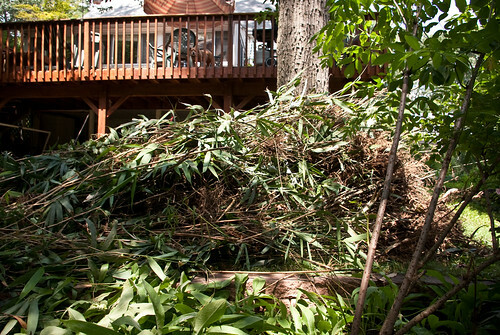 The bamboo tolerated my feeble attempts to tame it and then cut a green swath through my backyard. The bamboo invasion was wildly successful; my yard, occupied territory. Until we called the Yugoslavs. Three of them came, armed with shovels, rakes and a mattock. 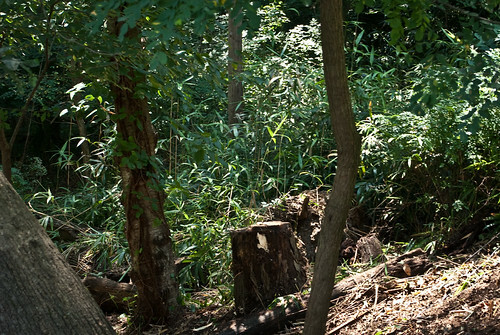 They chopped, pulled, ripped and hurled Serbian curses until the yard was cleared and the bamboo uprooted and piled high against the chestnut oak. 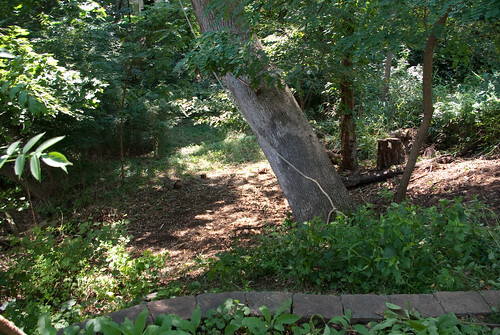 The bamboo that is left is looming over the property line. We still need to lay down about 75 ft of barrier to keep it from sending in reinforcements. 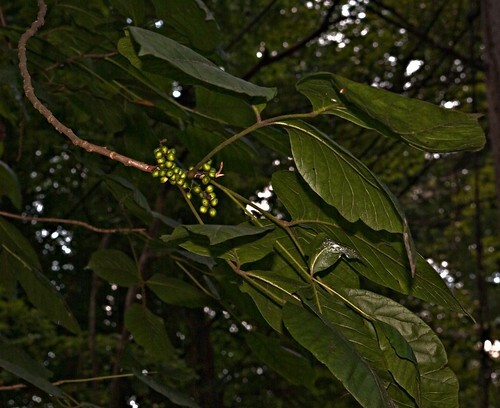 ah…the poison ivy is fruiting. As I think about it, maybe I’ll call a truce with this one. I think she and I can work out an arrangement. This entry was posted on Saturday, July 18th, 2009 at 9:06 pm	and tagged with bamboo, myyard, poison ivy and posted in Uncategorized. You can follow any responses to this entry through the RSS 2.0 feed.